Join us for our happy hour with heart! 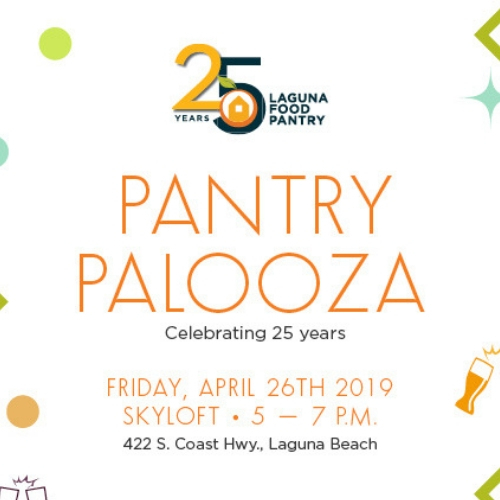 Friends, neighbors and supporters are invited to Pantry Palooza, a happy hour of good food, drinks, dancing and camaraderie to celebrate and raise funds for the Laguna Food Pantry. For more than 25 years, Laguna Food Pantry has been a safety net for anyone - seniors, underemployed or people out of work, disabled, students, individuals, and families - who need free, fresh, nutritious food. Don't miss your chance to support a great cause that helps our neighbors who need our love and assistance.